On the fifth day of the competition, at the Baku World Judo Championships 2018, Azerbaijan, the Women's -70 and Men's -90 were in action. 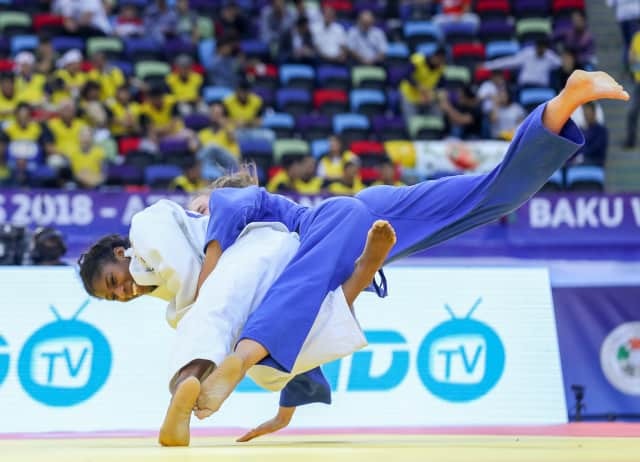 WOMEN -70kg: On the fifth day of the Baku World Judo Championship, the first women qualified for the semi-final is Maria Perez (PUR) who successively defeated Gabriella WILLEMS (Belgium), Farina KHANOM (Bangladesh), Maria PORTELA (Brazil) and Kelita ZUPANCIC (Canada) in quarter-final. She is opposed to the current World Champion, ARAI Chizuru of Japan, who defeated Gemma HOWELL (Great Britain), Giovanna SCOCCIMARRO (Germany) and the triple World Champion Yuri ALVEAR (Colombia). In the second half of the draw, the French Marie GAHIE, is qualified after a perfect morning session, after having eliminated Alena PROKOPENKO (Russia), Emily BURT (Canada), Sally CONWAY (Great Britain). GAHIE is opposed the Moroccan Assmaa NIANG. Well known on the international circuit, will it be the day of the African athlete, who produced beautiful judo throughout the morning session. She defeated Roxane TAEYMANS (Belgium), YAN Zi (China) and ONO Yoko (Japan). MEN -90kg In Pool A, it is Ivan Felipe SILVA MORALES of Cuba who made the best impression. After a first round against Paul KIBIKAI (Gabon), he was opposed to Quedjau NHABALI (Ukraine), Nacif ELIAS (Lebanon) and Kenta NAGASAWA (Japan). He is opposed to Axel CKLERGET of France, who showed that he is well prepared physically and mentally for this competition. 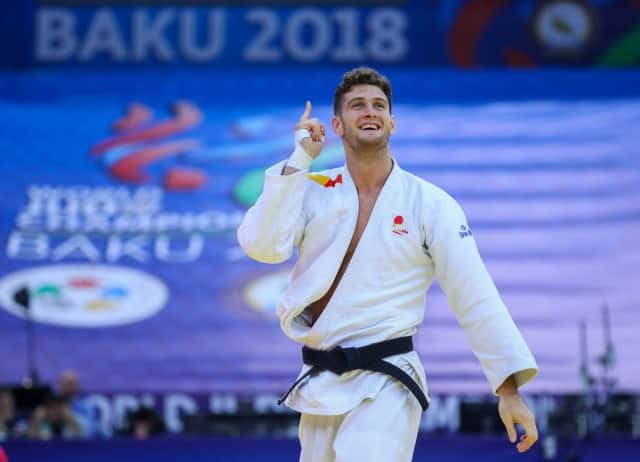 The Frenchman defeated Yahor VARAPAYEU (Belarus), Donghan GWAK (Korea, South), Khusen KHALMURZAEV (Russia) and Komronshokh STOPIRIYON (Tajikistan). The third athletes qualified for the semifinals is TOTH Krisztian (HUN), who eliminated Islam BOZBAYEV (Kazakhstan), Mammadali MEHDIYEV (Azerbaijan), Rafal KOZLOWSKI (Poland) and Eduard TRIPPEL (Germany).